The European Central Bank decided to extend the quantitative easing (QE) program last week. Today, the Federal Reserve has kept its rate on hold, but given a strong indication of a rate hike in December. Meanwhile, the Bank of England is expected to increase its official rate for the first time in more than a decade later today. To top it off, the US non-farm payroll figures are scheduled for release on Friday. 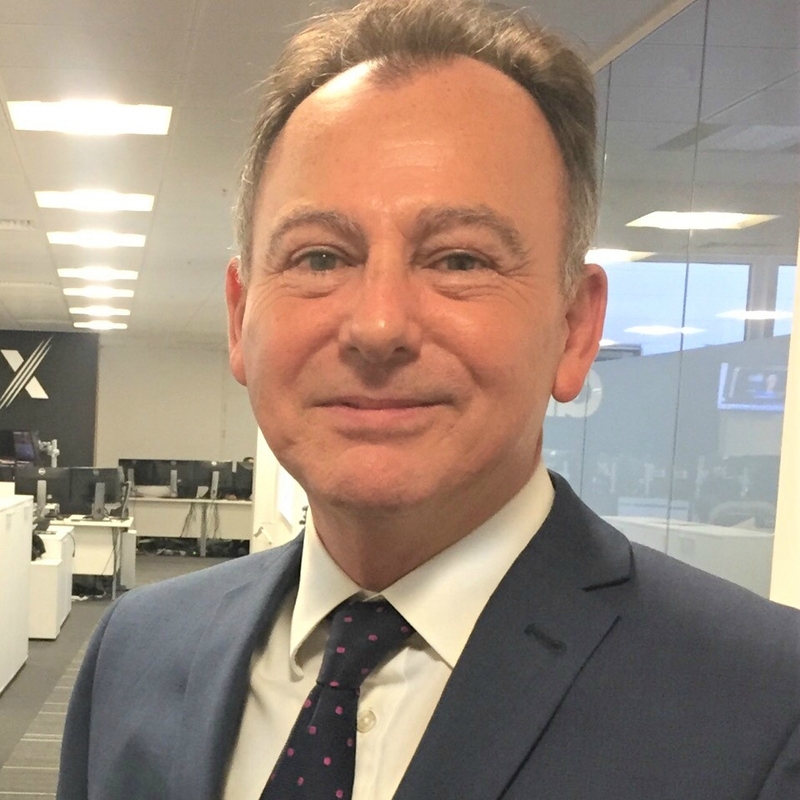 EUR/USD and GBP/USD will be amongst the key pairs monitored by investors and traders. I’m going to focus this week’s blog on analysing the clues these charts are giving us to gain some idea of the likely direction they could take in the coming weeks. 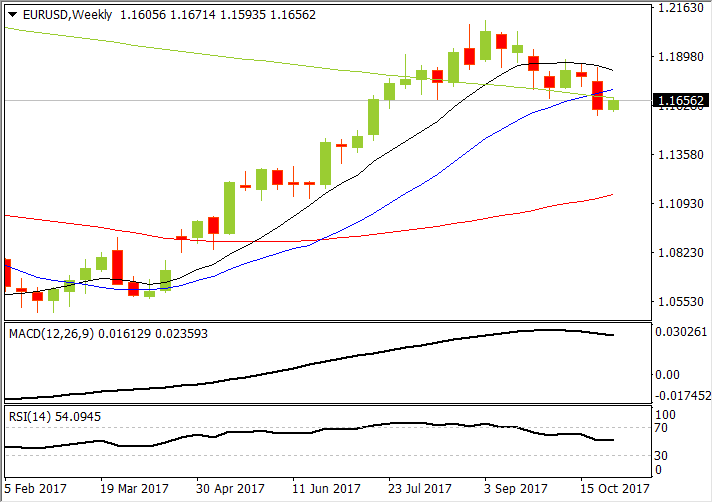 The extension of QE by the European Central Bank combined with the rate hike forecast by the Federal Reserve, indicates that the outlook for EUR/USD will be fundamentally bearish. The weekly EUR/USD chart has already reversed into a downtrend as price has made a deep pullback past the 20 period moving average (the blue line on the chart below). 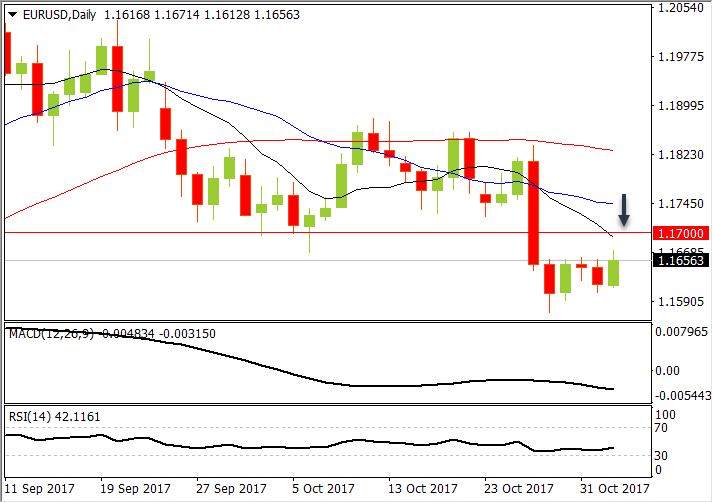 On the daily chart, price has broken through a support level at 1.1700, and is currently sandwiched between 1.1660 and 1.1700. If price confirms resistance around this area, then further weakness of EUR/USD could realistically be anticipated. To find an entry I will wait for price to pull back into the moving average sell zone on the daily chart. The moving average sell zone is that area between the declining 10 and 20 period moving average shown in the chart below as black and blue lines respectively. I am closely monitoring to see if price shows some sign of rejection here, if it does, then I will look to take a short position with a potential target at 1.1500. While EUR/USD’s direction seems to me to be more or less confirmed, GBP/USD remains unclear. We can see a well-established uptrend on the GBP/USD weekly chart below. With moving averages all fanning up, that could be a clear sign that the upward momentum is strong and could be set to continue. 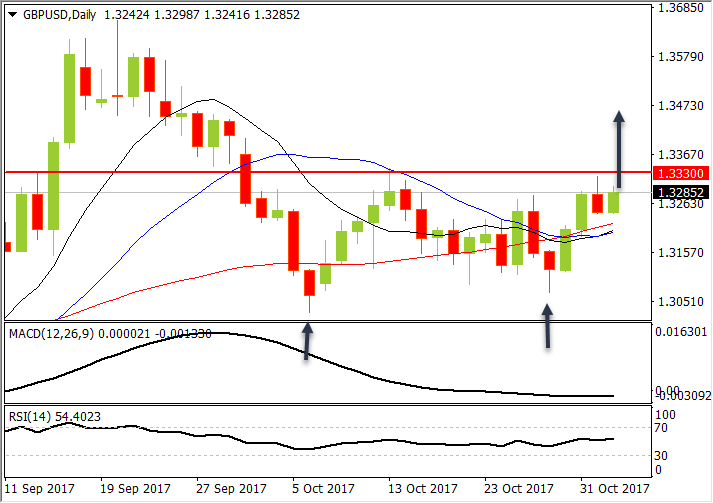 After the break above the 1.3000 psychological level two months ago, GBP/USD has taken all of October to retest 1.3000, which is now confirmed as a support level. On the daily chart below, a higher lower has formed this week (indicated by the blue arrows). 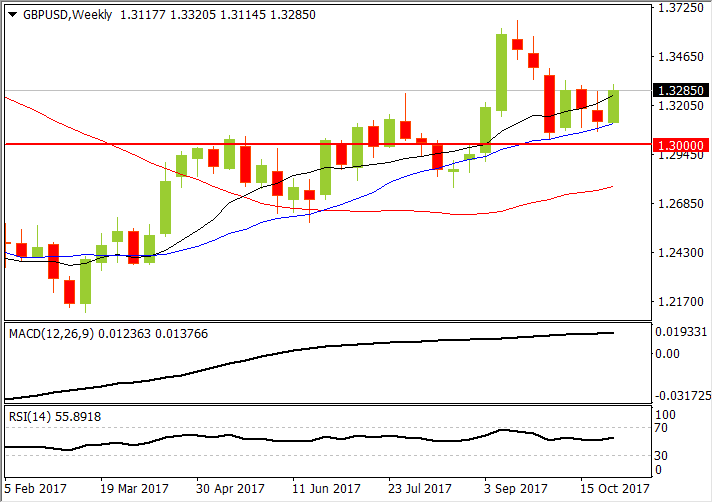 If price can clear a localised resistance level around 1.3330, then a higher high should form, indicating the uptrend has a possibility of resuming on the daily chart as well. Will the Bank of England’s expected decision today give it boost higher? Only time will tell.